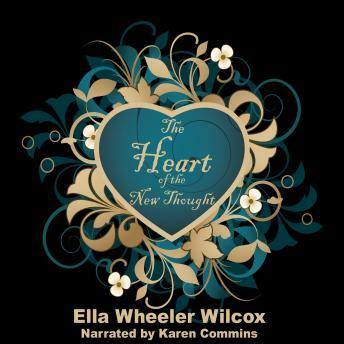 Ella Wheeler Wilcox wrote this classic text in the "New Thought" movement over 100 years ago, yet much of her advice and wisdom is still true today. If you want to be happy, the change must first start with your thoughts.Wilcox suggests ways to change your thinking and specific actions to take in order to feel better about yourself and improve your life.For instance, have you ever noticed that the more you talk about being sick, the illness worsens and stays with you for a longer period of time?As Wilcox tells us:"Right thinking pays large dividends! We must train the mind to reject the brood of despondent, resentful, fearful, and prejudiced thoughts that approach it, and to invite and entertain cheerful, broad, and wholesome thoughts instead. "Each time you read and listen to this book, you can absorb the ideas that apply to you and move closer to the happier life of your dreams.Look for the companion Kindle edition, which includes a linked Table of Contents for your convenience, as well as charming, vintage illustrations chosen to accentuate the text.